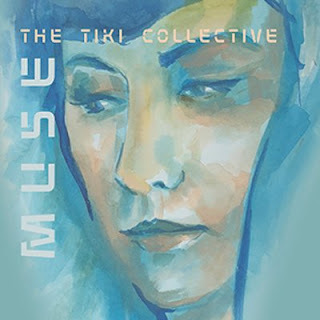 The Tiki Collective are a large ensemble of friends who perform jazz, pop and exotica music. The collective was conceived by Toronto jazz producer/personality, Jaymz Bee and guitarist/music director, Eric St-Laurent in 2016. Bee has been a fan of exotica and lounge music for years and felt the time was right to present a nuevo-retro sounding ensemble that included elements of surf, jazz and pop with a nod to Tiki culture. The instrumentalists bring decades of experience and share a love of world music while the singers bring a fresh approach to a diverse array of material. This ensemble steers clear of the type of cultural appropriation that appeared in exotica recordings of the fifties, relative to Polynesian and South Pacific island cultures. Instead, the collective focuses on using similar instrumentation to those of early exotica records, with thoughtful arrangements that blend Eastern, Western, and local influences. 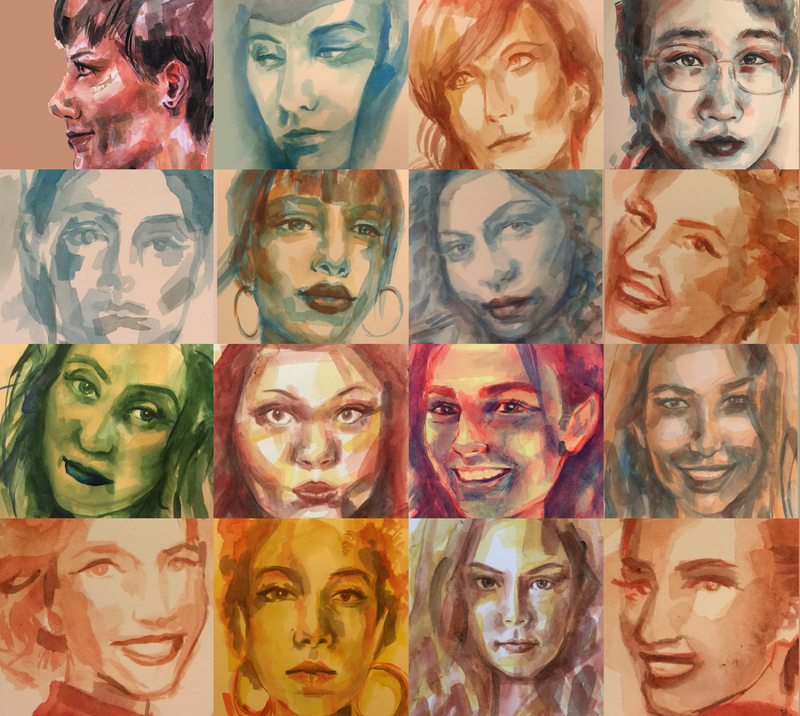 The name Muse carries with it two meanings: first, a way of honouring a person who acts as a source of artistic inspiration; secondly - as a verb, since they mused over how to create a fresh new sound. The album is a blend of exotica, jazz, and pop music that will have you dreaming of beaches, palm trees, and wondrous sunsets. The melodies are timeless, while the production is modern and seamless. The recording features new arrangements of popular songs including “Don’t Fear The Reaper” and “The Sweetest Taboo,” as well as exquisite classic rarities such as “All Too Soon” and “Chelsea Bridge.” Also featured are original compositions “Dreaming” and “The Wanderer”. Marty's review: To put this in layman's terms, this album is soooo COOL! Dreamy exotica with a contemporary feel that reinvents the style in a way that creates an exquisite and stylish sound that swirls and soars. The re-interpretations of past classics like "Don't Fear the Reaper", "I'll Be Seeing You" and "Sweetest Taboo" are delivered in a unique and sensitive way that breathes new life into them. With seductive vocals, lush and layered instrumentation and a production quality that is sublime and polished, this release is destined to create a new genre in jazz-exotica. Young jazz artist, Ilya Serov, is a classically trained Russian trumpet player who fell in love with jazz as a teenager. He came to the US about 10 years ago to pursue a career as a jazz musician. Back in Time, his upcoming album (out in September), is an homage to the Big Band era and features collaborations with Roger Kellaway, Poncho Sanchez and Eric Marienthal. Russian-born Ilya Serov is a young jazz musician with an old soul. Classically trained at the prestigious St. Petersburg Conservatory, trumpet player and vocalist Serov decided to follow his love of jazz, cultivated as a teenager in the Russian city of Saratov, by pursuing his dreams in the U.S. He now is building a following among fans and seasoned players alike as one of the scene’s budding new talents. Serov’s new album, Back in Time, to be released later this year, is an homage to the Big Band era and features classic tunes that showcase both his musical chops and vocal interpretive skills. The first single, “Swing 42,” featuring a duet with Grammy-winner and Oscar-nominated pianist Roger Kellaway, is a new take on the Django Reinhardt tune. “Tangerine,” the second single, is a collaboration with Grammy-winning percussionist Poncho Sanchez. “C’est Si Bon,” the third single, is a re-imagining of the French popular song and has background vocals by The Swing Kittens and piano work by Kellaway. “Old Devil Moon” is highlighted by a solo from Eric Marienthal, Grammy-winning sax player. The album is loaded with other classics that Serov has lovingly interpreted. After Back in Time, Ilya plans a smooth jazz recording with self-penned material (and featuring the Jazz-o-horn). His goal is to explore all forms of jazz, including smooth jazz. “I love all forms of this music,” he said. By going Back in Time, Ilya Serov is moving jazz forward. Visit www.ilyaserov.com for more information.